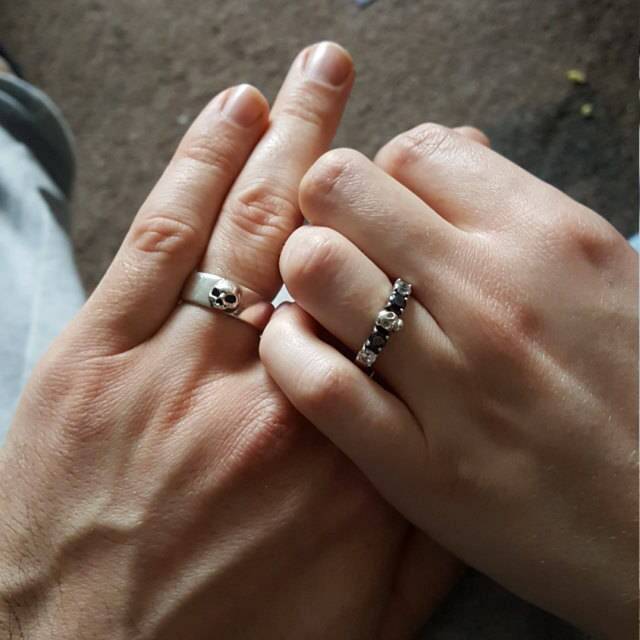 THIS RING IS READY TO SHIP!!! SIZE 9 - NO RESIZING. 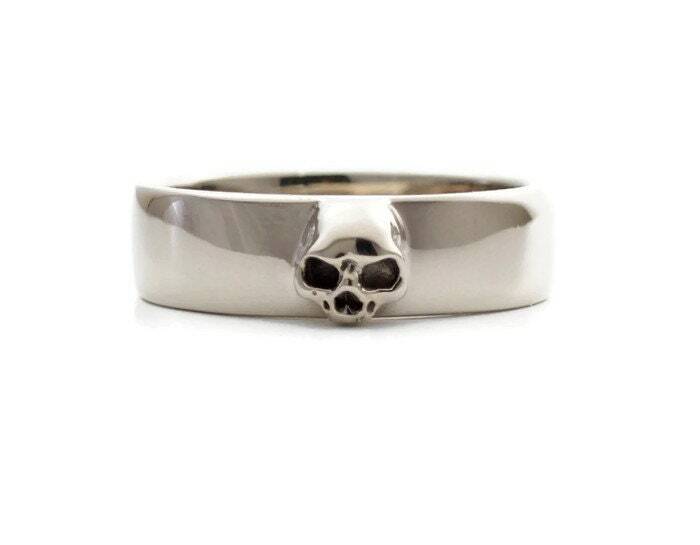 A slender but massive sterling band and a little hand carved skull sitting on top of it. Ive put greatest detail in it. Look at its teeth, nose and overall proportions. Its made for those who prefer an understated statement. 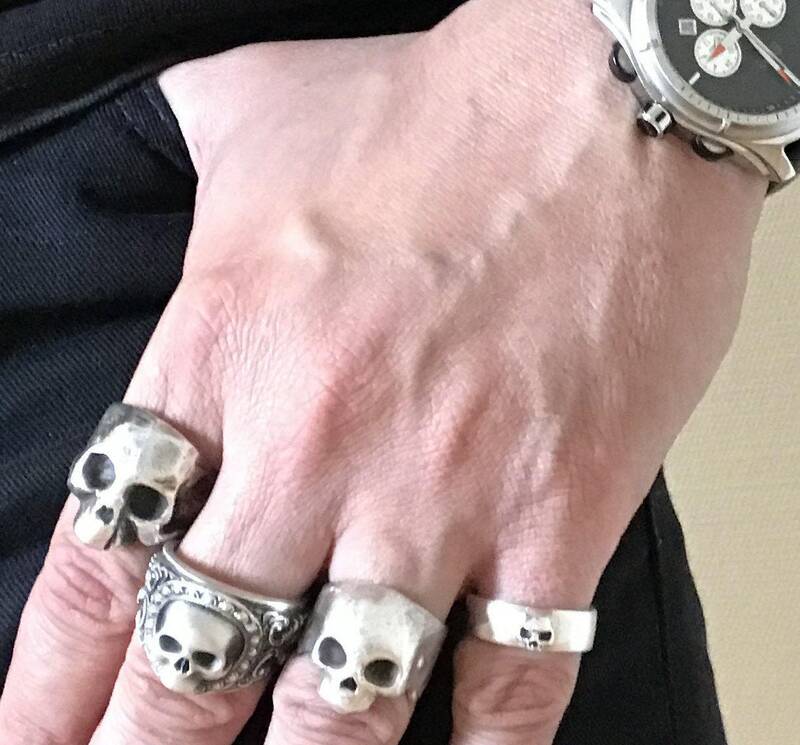 Also very suitable for males with smaller hands or shorter fingers, where the common bulky rocker skull rings would look just awkward. 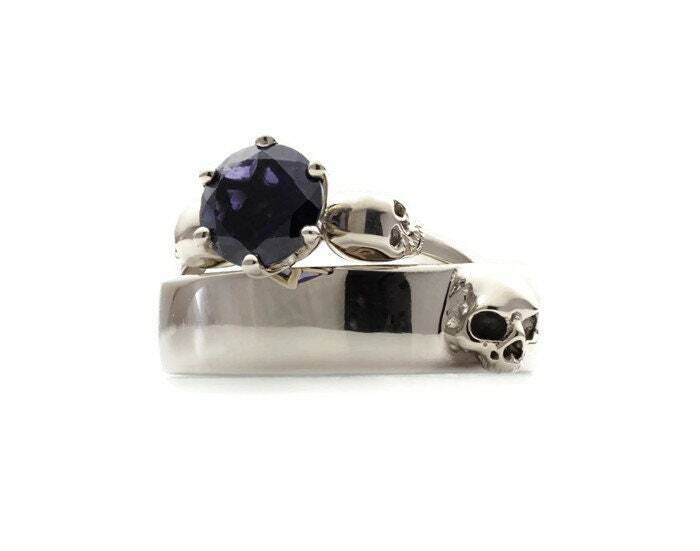 Of course they are also suitable for women who like massive, but not too massive rings. 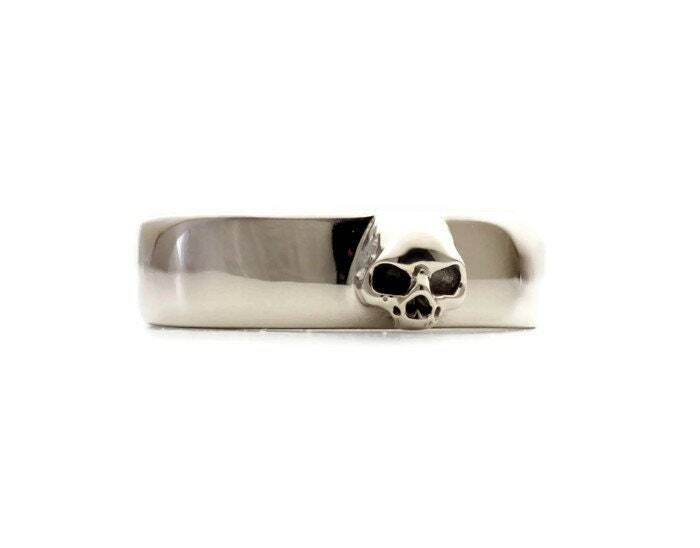 The skull measures 7mm, width of the band is 8mm, thickness 2.5mm. The inside is rounded, so its perfectly smooth to wear. 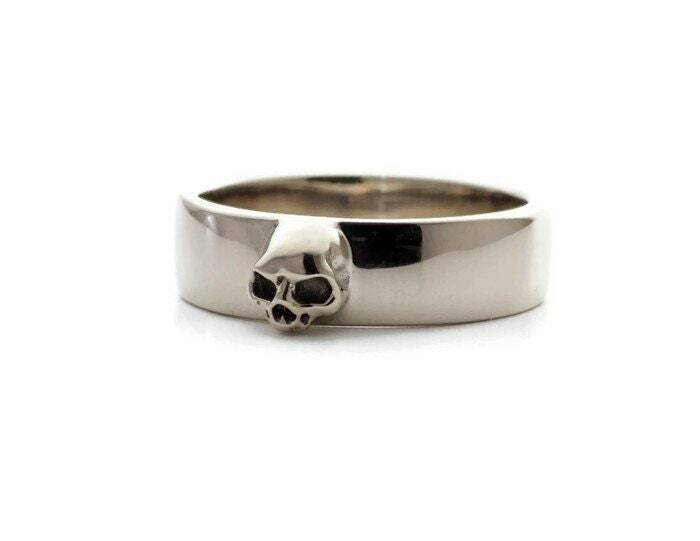 Im using recycled sterling silver, your grooms skull wedding ring comes hallmarked 925. 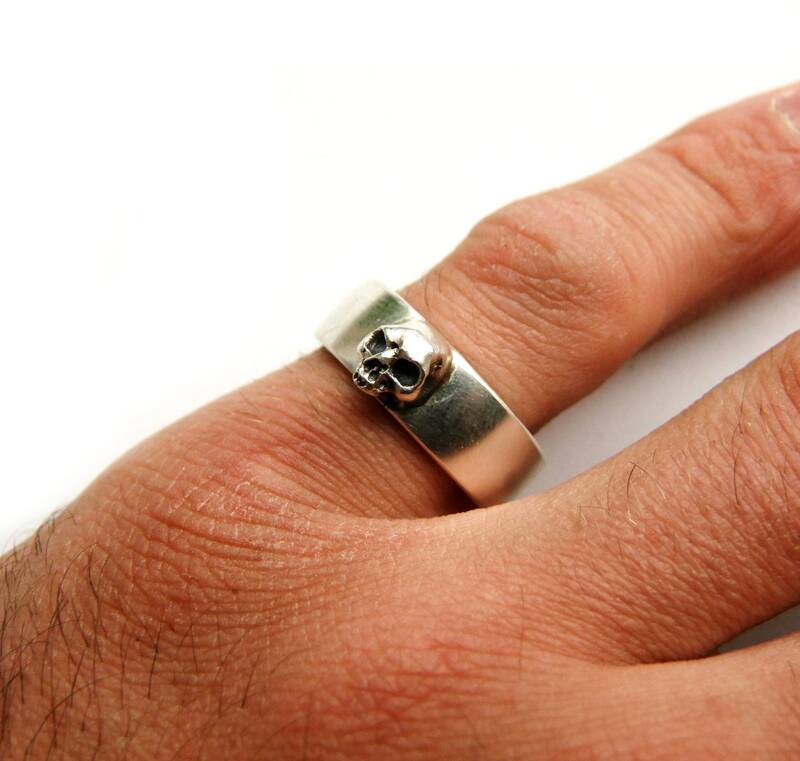 Im offering this wedding band also in white gold and any other gold alloy.